We take a break from pure capitalism to honor the human, animal, and environmental-minded side of the renewable business. The energy market is ruthlessly competitive. American consumers want cold beer and warm showers from low-cost utilities, and the "green-ness" of the electricity is of minimal concern to the average user. This pits solar firm versus solar firm and wind power firm versus wind power firm. More broadly, this mindset pits renewable energy against the entrenched incumbents of coal, gas and nuclear, which are armed with their $0.09-per-kilowatt-hour power. The struggle for renewable energy firms will be even more Darwinian when subsidies and incentives subside. Amidst this furious economic struggle, it's easy to lose track of some of the softer benefits of distributed energy and renewables, as well as the humanitarian aspects of the green energy business and its people. The Wildlife Conservation Network works to protect endangered species and preserve their natural habitats. The organization supports innovative strategies for people and wildlife to co-exist and thrive. The WCN has a solar project, and it needs donations of solar equipment. Dedicated conservationists all over the globe are studying species in decline and trying to learn enough to save them. They live and work in extreme environments and they need electricity to run their camps, power their communications and just to keep their modest facilities in good repair. The WCN Solar Project designs, assembles and ships solar electric systems to conservation projects in the ﬁeld. By providing a reliable source of energy for everything from lights and laptop computers to GPS units, the Solar Project is making an impact on critical efforts to protect endangered species. They are using this electricity to conduct cutting-edge research like tracking elephants in real-time via GPS, powering VSAT computer links at 15,000 feet in Ethiopia, as well as many other state-of-the-art programs. The Wildlife Conservation Network's solar project is also on the cutting edge of efficient green lighting, illuminating the group's camps with solid-state lighting donated by startup Lumiette, a flat-panel fluorescent lighting company. BP Solar has already donated 300 solar panels, the appropriately named Outback Power has donated off-grid inverters, MK Batteries has provided L16 deep-cycle batteries, and Beronio Lumber has donated plywood for shipping the equipment. Suntech has also donated solar panels to this cause. 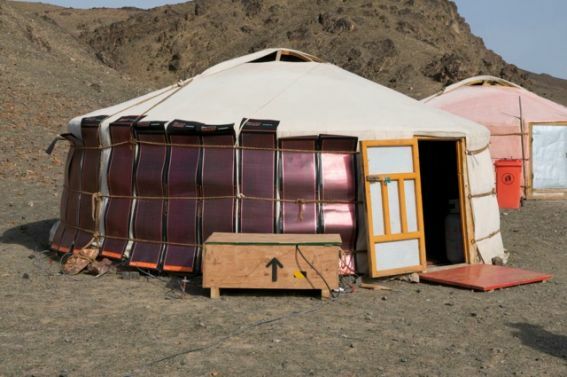 See the BIPV yurt below. SunPower has created an educational and advocacy organization to organize and fund worthy projects, called The SunPower Foundation. One of its partnerships is with One Million Lights, which aims to replace dangerous kerosene lamps with solid-state lighting, presumably charged with solar power. D.light design (see below) is working on this crusade, as well. D.light and Fenix International are for-profit energy and lighting firms with more than just the fiscal bottom line in mind. D.light builds a line of affordable, solar-powered lamps -- including one with a mobile-phone charging feature -- with the aim of replacing kerosene-powered lights, which are dirty and dangerous. The company's target is to improve the quality of life for 50 million people by 2015. 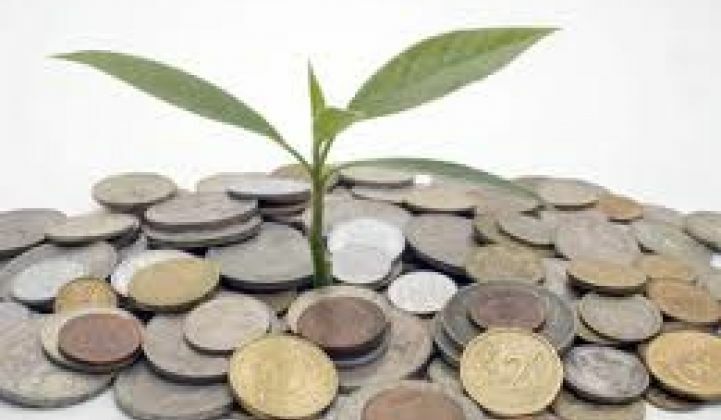 The firm has funding from philanthropic investors, as well as traditional VCs like DFJ and Garage Technology Ventures. Building the solar lamp is one part of the enterprise; the other is creating a sales network to get the device into the hands of the people who need it. Fenix International's CEO, Mike Lin, sees the firm as a triple-bottom-line firm with a focus on people, prosperity, and the planet. The Fenix product is a plug-and-play power station -- essentially a battery with a variety of charging options (solar, bicycle, or grid) and a variety of outputs that allow the unit to charge mobile phones or power a light. It allows entrepreneurs and shopkeepers in "frontier markets" to create a small revenue-generating business charging cell phones. As with d.light, distribution is crucial, so Fenix is partnering with mobile phone network operators to take advantage of existing supply and distribution channels. The firm also just kicked off a campaign to raise donations to provide power systems to relief agencies in Japan. Yingli Green Energy (NYSE: YGE), one of the world’s largest vertically integrated PV manufacturers, formed a strategic partnership with GRID Alternatives, a nonprofit solar installer that provides renewable energy and energy efficiency services and training. The partnership looks to install one megawatt of solar power systems for 400 low-income families using a combination of donated modules and modules purchased from Yingli at fair market value. The projects will provide hands-on job training in solar PV installation to people looking to enter the solar workforce. SunWork, a 501(c)(3) nonprofit, trains volunteers to install solar systems on the homes of low energy users, in an effort to make solar power more economical for these homeowners and to encourage the switch to solar. SunWork performs the design and installation of the rooftop PV, as well as doing all the rebate and interconnect paperwork. Since the labor content in a SunWork installation is zero, SunWork's average installed cost per watt is 25 percent less than that of the next lowest-cost installer in the company's operating territory of California's San Mateo and Santa Clara Counties. The firm works on residential rooftop systems in the 1.5-kilowatt to 3.5-kilowatt size range. Costs to the end user are in the $4.00 to $5.00 per watt range before subsidies and $2.75 to $3.00 after subsidies. So, the rough cost of a system is $5,000 to $10,000 after subsidies. The firm installs mostly REC and SolarWorld panels because of their low embedded energy and domestic content, respectively. As proof of the success of the program, some of SunWork's installers have gone on to land jobs with major solar installers. There are many organizations working in this vein. If you'd like to be added to this list, send an email to wesoff@greentechmedia.com.